It's pleasing to have a flock of Siskins arrive in your garden, and thanks to ringing, we might know where they come from or go to, but can ringing tell us anything about the link between these individuals in the flock? 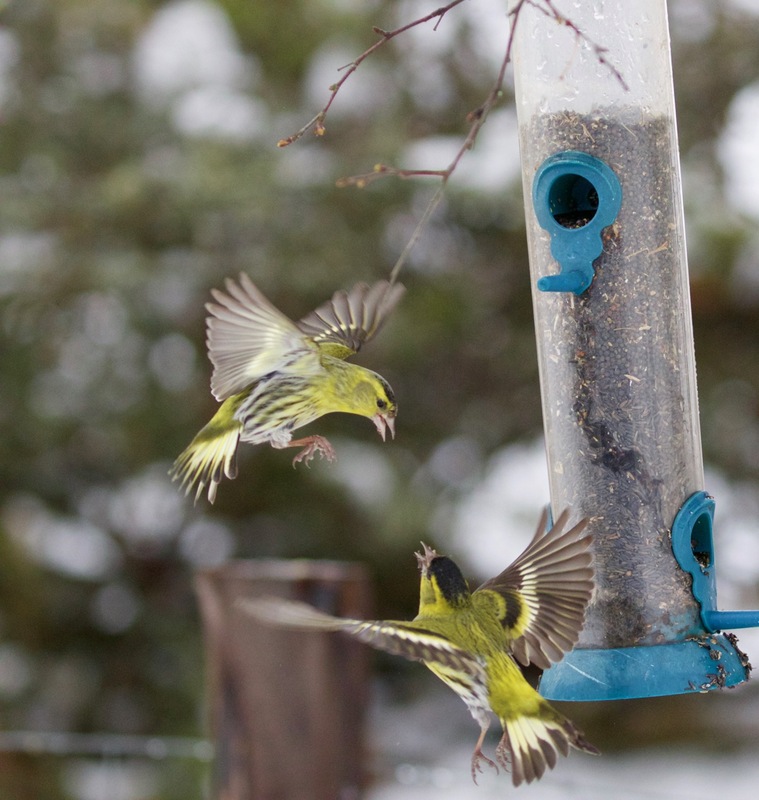 A note in Bird Study by Juan Senar and Jeff and Allison Kew in 2015 revealed that the individuals in Siskin flocks have stable social bonds and move in stable social units. Two more recent examples of Siskins apparently travelling together between Britain and both Finland and Sweden provide even more evidence to reinforce the existence of social bonding between migrating Siskins. The moment you take a ringed bird out of a net and realise that the number on the ring is not one of your own, is always pleasing. When the ring has a foreign inscription the pleasure rises to excitement. Following several spells of easterly winds this March, I wasn’t entirely surprised to find that one of the Siskins visiting my garden feeders (green pin on map below) was carrying a Swedish ring and had been ringed as a 5,M (last years fledgling, male) on 25 April 2017 at Overboda, Västerbotten (63 deg 51 min N 19 deg 55 min E) 1,490 km ENE of Inverness (red pin on map below). Swedish Siskin recoveries are not as frequent as might be expected from such a close neighbour. Up to 2016 there had been 38 Swedish-ringed Siskins reported here, with 110 BTO-ringed individuals recovered there. This compares with 105 from, and 172 to, Norway. So, even though another bout of easterlies had followed, I was quite surprised to catch another Swedish ringed Siskin, on 4 April and even more so to get a third the following day. What was really interesting was that the third bird’s ring, was only seven numbers different from the bird caught the previous day so that it was nearly certain that these two birds had been ringed at the same location and were travelling together. Both birds had been ringed on 23 July 2017 at Handol, Jamtland (63 deg 16 min N 12 deg 26 min E) 1,119 km ENE of Inverness (blue pin on map below). 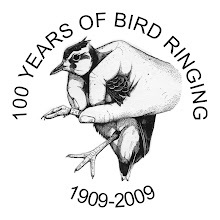 An email exchange with Malcolm Calvert of the South Manchester Ringing Group, with whom I swap quite a number of Siskins, revealed that he had had a similar experience over the weekend of 22/23 February 2016 when one of six Siskins caught in his North Cheshire garden was an adult and was carrying a Finnish ring; the bird had been ringed at Pori, Satakunta, Turku and Pori (purple pin on map below) on 15 May 2015. The following day Malcolm caught another six, and was delighted to learn that one of these had been recaptured two months later on 29 April 2016 at Niinivisi, Kupio Finland (yellow pin on map below), albeit some distance from the ringing location of the Finnish ringed bird caught in his garden (brown pin on map below). Finnish recoveries are even scarcer than those from Sweden with only four Finnish-ringed birds reported here and 28 BTO-ringed ones reported in Finland up to 2016. Any foreign recovery is interesting, but to find two different examples of pairs and probably groups, of Siskins apparently moving together is remarkable. It seems likely that Malcolm’s two Finnish recoveries involving his Cheshire garden would have involved birds that had been wintering in Britain. 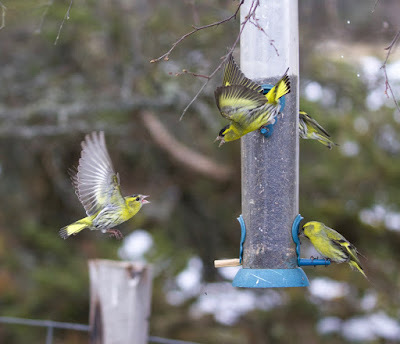 The Swedish birds in my Inverness garden could also have been birds that had wintered in Britain, returning north with all the other Siskins which seem to move up into the Highlands in March and April. Many of these travel via the Manchester area, as evidenced by all the exchanges with the South Manchester Ringing Group, or perhaps they might have been the result of drift migration following all those easterly winds? Siskin was the sixth most-ringed bird in 2017 with in excess of 35,000 individuals ringed. Even so, or perhaps because of this effort, every year is bringing new knowledge to our understanding of these charismatic little garden visitors. Demography - "The study of the characteristics of populations, such as size, growth, density, distribution, and vital statistics"
Meisen Wood: Expectations – some you get and some you don’t!